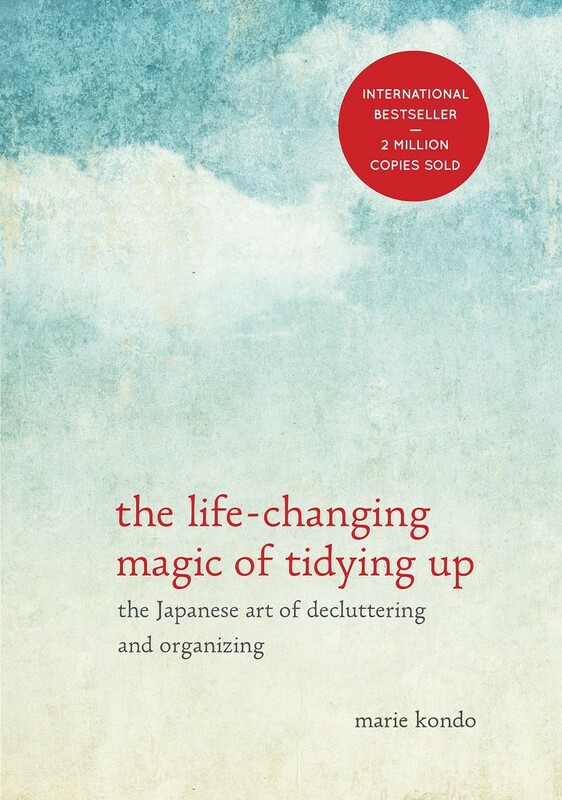 If you haven’t picked up Marie Kondo’s book “The Life-changing Magic of Tidying Up”, you really should. Her tips are so applicable to small space living. Sure, when you read it her metaphors and analogies can be cheesy, but what I appreciate most about the book is how she personifies our relationship with our possessions. Today’s entry will focus on her ideas on organizing clothes! I was once a frequent t-shirt stuffer but after learning her method, it has done wonders! Folding your clothes flat actually takes up a lot of square footage. Folding your clothes vertically allows you to fit more clothes – believe it or not. My wardrobe space has shrunk significantly! It’s pretty amazing really. The book gives a very valid reason why should fold your clothes her way! Since I’ve adapted this method I’ve pretty much worn every single item in my wardrobe on a regular basis. Since the clothes are so neatly displayed, you don’t have to go through piles of your clothes trying to find your outfit for the day. With so many decisions we have to make during the day, choosing your outfit is simply easy and breezy! Once you get through the first 5-8 hours of purging clothes and learning her method of folding, you will never ever have a messy wardrobe again. I also never expected to treat folding clothes/linen/towels like a puzzle. Every nook I see for clothes, I just really want to find the most efficient way of folding them into it. Seriously with practice you not only start becoming good at it but liking it. 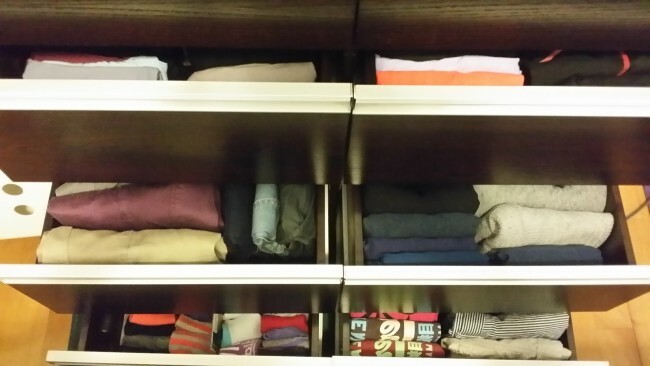 I have adapted KonMari’s Method for 5 months and I haven’t looked back since. Honestly I had my doubts, but seeing a neat pile of clothes every morning gives me a beautiful sense of order and calm before I head into the chaos of work. I am not afraid to say it, I love folding clothes now and each time I finish putting my clothes back I have a great sense of accomplishment. There are just so many more practical advice from Marie Kondo’s book. One might ask, why the title has the word “life-changing”? Well, she is being honest because once you start adapting her methods, your life seriously becomes clearer. Thanks Marie Kondo.